eBook/PDF – A digital copy that will be emailed and then must be printed to be enjoyed. 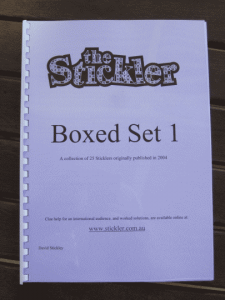 Printed & Bound – printed on thickish paper, nicely bound and mailed using Australia post. Please email me if you live outside Australia and wish to buy one or more bound copies. You can update quantities through the shopping cart before checking out if necessary.